So y'all are saying that the term "modern language" is somewhat of an oxymoron? I remember that old Brit tv series called "The Good Life" where Penelope Keith is doing the crossword puzzle next to husband (Paul Eddington) and she asks, "Is hobbledehoy hyphenated?" And he replies..... "In several places, I think." I practice my offensive grammar daily. Those who don't repeat the past are doomed to forget it. Al, you win the prize on this one...... LMFAO!!! Hey, at least you didn't mention Pascal. Last edited by adorshki; 02-05-2019 at 03:34 PM. :) More importantly, though, purple spandex. :) 'nuff said! 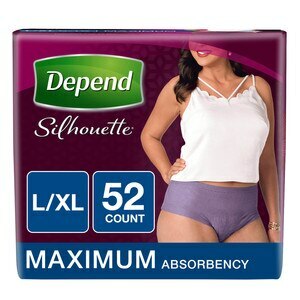 Depends are available in purple spandex now. You don't really want me to post an image, do you? Hmmm…I may be sitting on a goldmine here. ;) PROCEDURE DIVISION FTW!